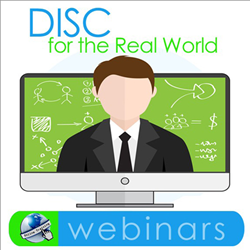 The webinar called “How to Choose a Meeting Leader” will show participants how DISC behavioral analysis can be used to assign the right people to the right tasks, choose leaders that are the best fit for a specific project or group, and create a more positive and productive work environment. When we talk about talent management strategies, we typically talk about ways to use human resources within a company to increase efficiency and improve the bottom line. DISC gives us a unique set of strategies that work perfectly for talent management. Meetings represent a huge investment in time and resources for businesses. In the United States alone, over 11 million meetings are held each day. The hope is that meetings will foster collaboration, productivity, and efficiency. The truth is that many meetings do just the opposite. Create a more positive and productive work environment. The “How to Choose a Meeting Leader” online training will air on February 12th at 2pm EST. The webinar will stream live at peoplekeys.com, and will be available on demand the following day. The “How to Choose a Meeting Leader” webinar will be presented as a part of PeopleKeys’ popular DISC for the Real World series, which includes monthly installments of interactive 60-minute DISC training sessions on a variety of topics. For more information about PeopleKeys, DISC, their personality testing and behavioral analysis tools, or to register for the February 12th “How to Choose a Meeting Leader” DISC webinar, visit peoplekeys.com. PeopleKeys has been providing tools to measure the connection between personality and human behavior for over 30 years. PeopleKeys believes that an understanding of human behavior can be used to create effective leaders, improve relationships, streamline productivity, improve communication, and reduce stress. Their DISC personality tests and behavioral analysis tools have been translated into over a dozen different languages, and are sold around the world. For more information about PeopleKeys and their DISC solutions, please contact Marketing Manager Kaitlyn Miller at 330-599-5580 x113.